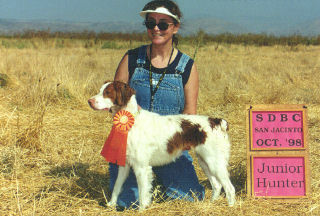 The San Diego Brittany Club sponsors AKC licensed Hunting Dog Tests each year. These events are open to all Pointing Breeds and we run two tests at each level over the course of the weekend. 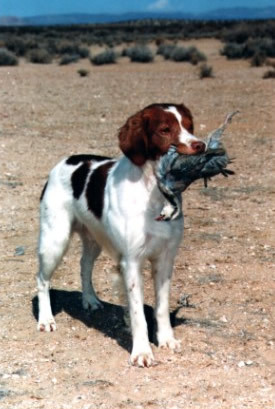 Hunting tests are a great way for people to get involved in some of the field activities for which the Brittany is specifically bred. Hunting tests are not competitive events as such since the dog is judged against a standard rather than against other dogs. The dog either passes or fails the test on any given day. After earning the required number of qualifying scores, the dog is then awarded a title, according to the level at which he or she entered: Junior Hunter (JH), Senior Hunter (SH) or Master Hunter (MH). Brittanys are happiest when participating in some activity that involves birds. Not only that, but you'll meet fantastic people so you AND your dog will be having a good time! 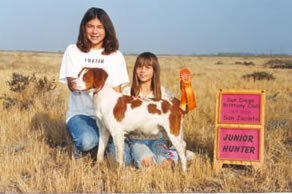 Full information about Hunting Dog Tests can be found on the AKC website at http://www.akc.org/dic/events/perform/htpointb.cfm. Problems with the site? Let us know!